Could “Repentance” Show Hollywood The Error of Its Ways? With this year’s Academy Awards has come the seasonal uptick in conversations about whether racial diversity will be celebrated this Sunday. Steve McQueen’s 12 Years A Slave represents the color buzz of this year’s ceremony, and black Americans have thus endowed the film with the power to restore hope in an industry that typically marginalizes us or misrepresents us outright. Despite the homogenous selectivity that will likely continue to influence how gilded Hollywood doles out its highest honors, mainstream films have begun to demonstrate change in favor of a more colorful America on the big screen. Ignoring that Kevin Hart is Hollywood’s black cash cow in virtually all major-release movies that can be considered ‘movies in which black people happen to star’ (as opposed to ‘black movies’), the universal appeal of Think Like A Man and the remake of About Last Night still mark progress that continued support from the black community can turn into opportunities for more black actors and filmmakers. That romantic comedies like those aforementioned are fairly safe bets at the box office does not negate that any modicum of leverage against that belief that blackness is not an optimal way to draw money helps. And with Philippe Caland’s new thriller Repentance, there is a strong possibility that the genre may broaden the perspectives of those in charge even more. 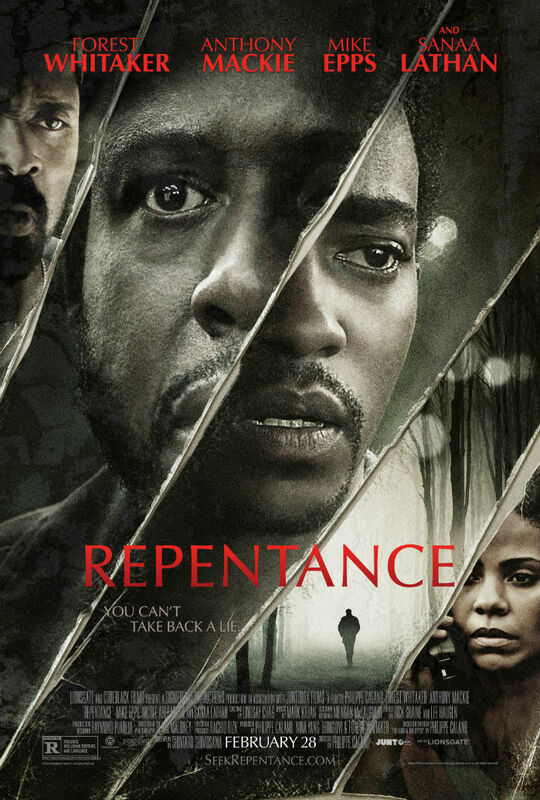 Produced by Codeblack Films and the progressive studio Lionsgate, Repentance tells a story that would have likely been cast with white actors had a more traditional studio owned it. Author and life coach Tommy Carter (played by Anthony Mackie) offers to help Angel Sanchez (played by Forest Whitaker) in a private session, only to learn that Angel’s violent instability is beyond his professional depth. With Mike Epps and Sanaa Lathan rounding out the noteworthy cast, the realms from which each actor come should be enough to draw an array of audiences for starkly different reasons, which is universal appeal by definition. The Lebanese Caland and Japanese-American (I think) screenwriter Shintaro Shimosawa also indicate that solidarity among non-white artists could be a valuable strategy in the fight for diversity in Hollywood. And with forward-looking studios Lionsgate succeding in an industry where older studios are gasping their last breaths, the paradigm shift on the horizon may not immediately lead to more frequent Oscar gold, but the general public will have no choice but to remove that ‘urban’ stigma from black-cast movies and face that good storytelling should always supersede skin color. Definitely NOT a black comedy. A (still) underrated actor in Forest Whitaker with mental conflicts? Count me in!!! Hah. It’s not a comedy at ALL, but I’d pay to watch people leave who are disappointed that it’s not. This thing is creepy. “Misery” on the bayou.